Despite more surveyed parents wanting school to start after Labor Day, the LA Unified school board voted Tuesday to keep the current school calendar for the next three years. Classes will begin in mid-August, with a week off for Thanksgiving, a three-week winter break, and a weeklong spring break. The first semester will end before the winter break, as it does now — a priority for many high school seniors who are preparing for college entrance exams and submitting college applications during that time. School board members Kelly Gonez, Nick Melvoin, Scott Schmerelson, and board President Mónica García voted for the schedule, which was the superintendent’s recommendation. School board member Ref Rodriguez voted no because he wanted to adopt only a one-year calendar. School board members George McKenna and Richard Vladovic supported an alternative plan where school would have started on Aug. 28 next year and ended on June 24 with the first semester ending after the winter break. This calendar called for a two-week winter break and three days off for Thanksgiving. That vote failed 2 to 5. The board adopted the following schedule for the next three years. School will begin on Aug. 14, and the first semester will end on Dec. 14, 2018. School will resume after winter break on Jan. 7 and end on June 7, 2019. Spring break will be April 15 to 19. 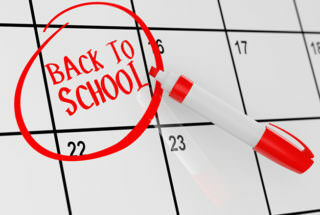 School will begin on Aug. 20, and the first semester will end on Dec. 20, 2019. School will resume after winter break on Jan. 13 and end on June 12, 2020. Spring break will be April 6 to 10. School will begin on Aug. 18, and the first semester will end on Dec. 18, 2020. School will resume after winter break on Jan. 11 and end on June 10, 2021. Spring break will be March 26 to 30. Vladovic said he opposed the superintendent’s recommendation to start the school year in mid-August because most parents in the survey said they wanted school to start after Labor Day. “My feeling is my parents that I represent in District 7 overwhelmingly said they want the late start, and I support them,” he said. He said the district doesn’t have data showing that student achievement improved after the district moved the school start to mid-August, which began with the 2012-13 school year. McKenna said he wanted there to be more equity in the number of instructional days in each semester. In the calendar that was approved, which McKenna opposed, there are 79 days in the first semester and 101 days in the second semester, McKenna said. McKenna’s proposal had 88 days in the first semester and 92 days in the second semester. “The proposed calendar is not instructionally sound. It certainly meets the needs of employees and some parents before the needs of students,” McKenna said. McKenna and other school board members pointed to issues with the survey questions and how they were posed. The survey cost the district $250,000, Rodriguez said. “We seemed to have ignored their input,” McKenna said of the parent survey. Melvoin said parents want clarity and consistency about the school calendar and said many were frustrated with the board’s vote last year to reverse a previous decision to approve a three-year calendar last year to start closer to Labor Day, only to approve a one-year calendar with a mid-August start date. “The desire of parents to get something done outweighs imperfections,” Melvoin said. In January, the school board approved a one-year calendar and voted to survey parents and employees to find out their preferences about when the school year should begin. The district last year commissioned a survey of parents and staff, which was conducted in September, both online and on paper. Thirty-eight percent, or 169,273 families, responded to the survey. In four of the seven board districts, parents said they wanted a start date after Labor Day. Most parents wanted to keep the full week off for Thanksgiving and the three-week winter break. Only parents in Melvoin’s Board District 4, serving the west side and Hollywood, preferred a two-week winter break. Of the parents surveyed, 36 percent said the school year should start after Labor Day, 32 percent disagreed, 31 percent had no preference, and 1 percent did not respond. Twenty-one percent of parents surveyed said school should start in early August, 21 percent said school should start in mid-August, 20 percent said school should start in late-August, and 18 percent disagreed that school should start in August, while 18 percent had no preference and 2 percent did not respond. The survey also asked parents if students in kindergarten through eighth grade should be on a different schedule than high school students. Sixty-eight percent of parents said the calendar should be the same for students in all grade levels. Most parents — 39 percent — wanted a five-day Thanksgiving break; 44 percent wanted a three-week winter break. Employees who took the survey also supported the current school calendar. Employees preferred to keep the school start before Labor Day, but that vote was closer than among parents — 47 percent said they disagreed that school should start after Labor Day. And 65 percent of employees wanted a five-day Thanksgiving break, and 69 percent of employees wanted a three-week winter break.